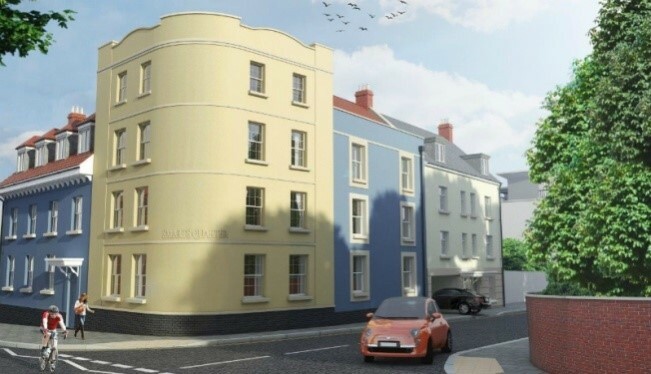 Our development of brand new luxury apartments and maisonettes in St Philips, Bristol is well on its way now so we thought it was time to tell you more about our progress so far and what is in store for Smarts Quarter and its future residents. We have already completed two phases of the development, the lower basement and car park. So you will be happy to know that your vehicles have somewhere to live but what about you? Work has now started on the ground floor Clifton, Henleaze, Whiteladies and Cabot properties. We’ve installed a time lapse camera on site to let everyone keep up to date with progress, so why not check out the progress for yourself at our first video – breaking ground. What is there to look forward to for the new owners of our apartments? The Sunday Times this year named Bristol the best city to live in England and the city regularly features in articles highlighting the positives the city has to offer in terms of careers, regeneration hotspots as well as some very high environmental credentials. The City certainly has everything: great shopping, buzzing social scene and glorious scenery but still retains a laid back and friendly feel that many larger cities lack. We love Bristol as a city and we didn’t want to just construct a new modern building not in keeping with its surroundings. Smarts Quarter has therefore been specifically designed in a style in-keeping with the other buildings around it and yet internally offers stylish, modern and contemporary living. Bristol is well known for being a green and sustainable city. We therefore wanted to make sure that we contributed to these values and are building quality sustainable homes for the future. The Better By Bike scheme in the South West encourages people to cycle more whether for work, to school or for pleasure. In keeping with this every property within our development has access to a secure bike storage area, so don’t forget your bicycle and helmet when you move! Alternatively, why not use the first bio bus which recently started routes in the city. There’s even more planned for the future….. The plans for both Bristol and the local area around our Smarts Quarter apartments don’t stop there. Smarts quarter is within a stone’s throw of Bristol Temple Meads Train station and for those using the main line between Bristol and London on a regular basis there is some good news on the horizon. Journey times will be cut by 22 minutes with the planned electrification of the main line by 2017. A fleet of Hitachi-built electric trains have been ordered and are currently being built in Britain, which should be ready by 2018. Further enhancements from 2019 will create better routes to Heathrow, the West End, London City and East London without having to change trains meaning that not only commuters but leisure travellers will benefit. The Harbour side and surrounding area will be developed to include a major concert hall that could rival the Sydney Opera House. With all of this planned for Bristol our Smarts Quarter apartments offer not only an amazing home in a great city but a real investment in the future. To find out more about Smarts Quarter or to register your interest in one of the news homes for 2015 contact our sales team on 0117 213 0151. This entry was posted in development, Smarts Quarter on November 28, 2014 by Jess Lawrence.